Basic Neoprene Knee sleeves are known for slipping, over-stretching, their mildew smell, and uncomfortable rubbery feel—even though they’re a WOD necessity. Knee Sleeves made with Ecoprene™ technology avoids these issues altogether. 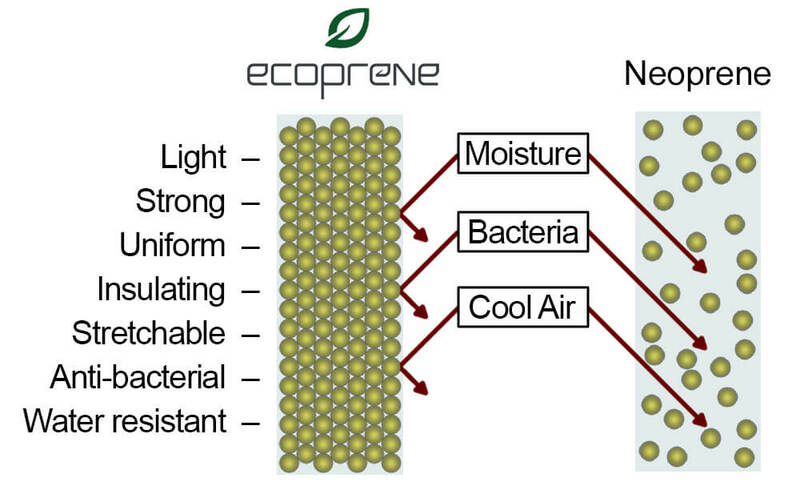 Limestone-based Ecoprene™ goes through an intensive mixing and heating process to gain its strong, perfectly uniform cell-structure. This helps the sleeve to retain its shape in a light-weight, eco-friendly package. After the hyper-composite coating is applied, Workt sleeves are 98% bacteria and moisture resistant. This stark contrast to the industry standard neoprene gives our sleeves an undeniable advantage in quality and durability. No other company does what we do to ensure 100% customer satisfaction. Our goal is to provide the best product, backed by our industry leading, lifetime guarantee. For all non-Legacy items, We guarantee against any tears in the seams, bindings, or Ecoprene™ for the lifetime of the sleeve. We guarantee that you will be 100% satisfied and notice results with our knee brace, or your money back, no questions asked. "WORKT knee sleeves are the only knee sleeves I use. Whether I'm training high volume or heavy reps, in training or in competition, I always have them with me and they never let me down." "WORKT sleeves have increased my performance and confidence with my workouts. There is nothing more supportive and performance driven than this product." "Workt has the best designs and their sleeves last forever. The new inside material makes them so easy to put on and keeps them so clean. It's been such a huge help in my recovery."